Congratulations to Christine Neuman, winner of last week’s Friday Freebie contest: The Life and Adventures of Santa Claus by L. Frank Baum. In The House on the Cliff, the first of the two novels, Jessica Mayhew is a sharp, successful therapist with a thriving practice and loving family. But the arrival of a new client, actor Gwydion Morgan, coincides with a turbulent moment in her life: her husband has just confessed to a one-night stand with a younger woman. The son of a famous stage director, Gwydion is good-looking and talented but mentally fragile, tormented by an intriguing phobia. When Jessica receives a frantic call warning that he is suicidal, she decides to make a house call. The Morgans live in a grand clifftop mansion overlooking the rocky Welsh coast. It seems to be a remote paradise, but there’s something sinister about it too: Jessica learns that the family’s former au pair drowned in the bay under mysterious circumstances. 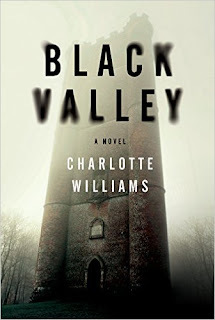 In her quest to help Gwydion, to whom she’s grown increasingly attached, Jessica becomes ensnared in the Morgan family mystery, which soon becomes an explosive public scandal—one that puts her directly in harm’s way. Meanwhile, Jessica is doing her best to keep her marriage and family together, but her growing attraction to Gwydion is impossible to ignore. 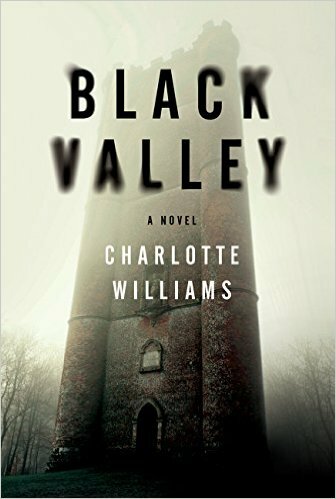 Black Valley, set against the otherworldly Welsh countryside, is a novel rich in character, intrigue, and harrowing dangers. Jessica Mayhew has enough problems without getting wrapped up in her patients’ drama. Her separation from her husband doesn’t seem as amicable as she once thought, and her daughters are drifting away as fast as they’re growing up. 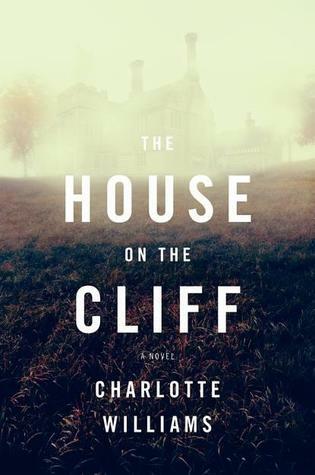 But her new client—chic, moody, obsessive painter Elinor Powell—has a way of drawing people in and soon Jessica’s getting involved with what seems to be a most artful murder. Elinor presents a rare professional challenge. She blames herself for keeping a valuable portrait in her studio, where her mother was killed in an unsolved robbery. An attack of claustrophobia is interfering with her work, as is her deepening paranoia about her twin sister, Isobel, and her brother-in-law, Blake, a ruthless art dealer. But when Jessica meets the entire unhappy family at the debut show of Blake’s protégé—a reclusive ex-miner producing gloomy canvases in the Black Mountains of southeast Wales—she starts to wonder whether Elinor might be on to something. Might there be more to her mother’s death? Could Blake have been involved? And just what’s going on in those lonely hills? Put FRIDAY FREEBIE in the e-mail subject line. One entry per person, please. Despite its name, the Friday Freebie runs all week long and remains open to entries until midnight on Dec. 17, at which time I’ll draw the winning name. I’ll announce the lucky reader on Dec. 18. If you’d like to join the mailing list for the once-a-week newsletter, simply add the words “Sign me up for the newsletter” in the body of your email. Your email address and other personal information will never be sold or given to a third party (except in those instances where the publisher requires a mailing address for sending Friday Freebie winners copies of the book).